My husband and I took a brief staycation to view the autumn colors here in Colorado. The aspen leaves turn the most amazing shades of gold. We spent Sunday in Nederland, a small community above Boulder. I didn’t take any pictures there. We just strolled around and enjoyed the chill atmosphere. Being there is like stepping into the TARDIS and coming out in 1978. Even the music in the restaurant where we had lunch was all from the seventies. On Monday, we headed into Rocky Mountain National Park. It was a cloudy day, occasionally rainy, but overall fresh and lovely. 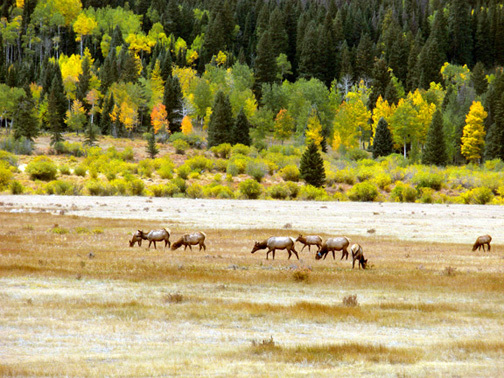 One of the first sights we saw were these elk in a meadow close to the park entrance. There were actually several herds spread throughout the meadow. They were loud, too, making this sort of bellowing, trumpeting sound. 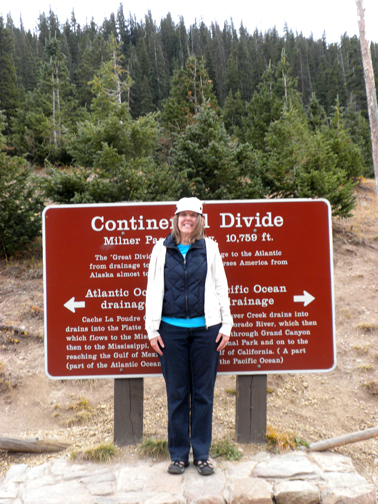 From there, we stopped at Horseshoe Falls, drove to the highest peak in the park (over 12K feet) and headed for our ultimate destination, the Continental Divide. There are two bodies of water on either side, a small lake to east and a creek to the west. You can actually see the water flowing east on one side and west on the other. Very cool! Speaking of cool, it’s finally cooling off here, which makes me very happy. I love fall weather. This got me thinking that I’d love to make something like soup or stew for dinner. Which got me headed over to Amazon, natch! 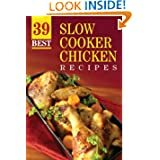 I found a batch of soup and slow cooker recipe books, all by the same author and perfect for this weather. I’ve also included a book of Halloween recipes. All free for now. As always, check the price before hitting the 1-Click button. Crock pot cooking is one of the best methods to prepare healthy and delicious meals. The low temperature of slow-cooking makes it almost impossible to burn food even when cooked too long. If you’re busy like me with two kids, it is just not possible to stay in the kitchen all day long. Just set the food to slow-cook before leaving for the day, and your delicious and nutritious chicken meal will be ready when you return. It doesn’t matter whether you’re new or experienced in creating crockpot meals. We’ve included detailed step-by-step cooking instructions to leave no guesswork for you. 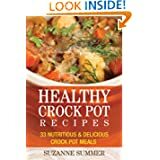 You will be amazed at how easy it is to make crockpot meals that are both healthy and delicious. Each recipe contains detailed nutritional information for your reference. Be prepared to be amazed by these new recipes that will keep you and your family healthy. Are you looking for soup recipes that are both healthy and tasty? If so then this is for you. 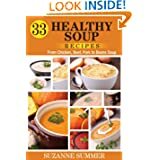 33 Healthy Soup Recipes is specially made for you soup lovers who are health conscious. With Halloween just around the corner, Halloween Recipes: 24 Cute, Creepy, and Easy Halloween Recipes for Kids and Adults gives you some great recipes for you to try! From snacks, to drinks, to entrees and even desserts, you will find some awesome recipes for you and your family to enjoy this Halloween season. 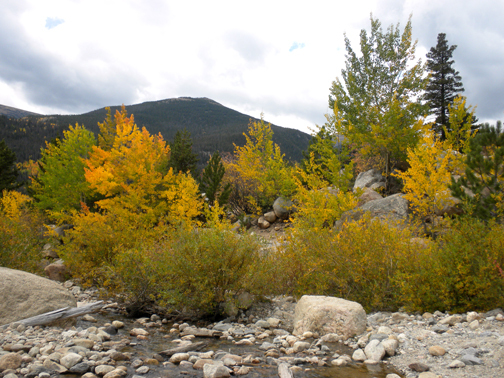 This entry was posted in Free eBooks, Kindle Bargains and Freebies and tagged Autumn, Books, Free, Kindle, Recipes, Rocky Mountain National Park, Travel, vacation by Lori Saltis. Bookmark the permalink.